Looking for a job in Hancock County Ohio? The following guide provides a listing of Hancock County top employers to include local government employment portals, healthcare job links, and a variety of schools that provide great teaching and support staff careers. Hancock County periodically posts job openings on their website. During this review there had been open positions posted on the Sheriff's Office employment gateway. Open positions found had included Sheriff Road Patrol Deputy, Communications 911 Dispatcher, and Corrections Officer. Visit their site for current listings. City of Findlay periodically hires for a variety of positions workign for the city. During review there had been openings for Temporary Support Staff and City Waterline Maintenance Worker. To be considered for a position, you must submit a City of Findlay application and any additional information specifically requested in the announcement. Please be sure the position is still open before filling out a application. The City of Fostoria strives to employ and retain the best possible candidates in order to provide quality services to the residents and visitors of our community. If you are interested in joining our team, please download the Employment Application and submit by mail to the address provided. ProMedica is a network of hospitals, physicians, health care professionals, researchers, and specialty clinics and facilities. Throughout the ProMedica health network careers periodically become available for positions such as EVS Technician, RN Registered Nurse Manager, Health Unit Coordinator Emergency Department Per Diem, Certified Registered Nurse Anesthetist (CRNA), Housekeeper, Phlebotomist, Sterile Processing Tech, Dietary Aide Per Diem, Nurse Practitioner or Physician Assistant, Clinical Pharmacist, Unit Clerk / Nursing Assistant, Per diem Registered Nurse Jobs, EMT Paramedic, Registered Nurse RN Surgery, Psychiatric Nurse RN, Certified Surgical Technician, MT / MLT / Medical Technologist, Per diem Physical Therapist PT, SLP Speech Pathologist Skilled Nursing Per Diem, Electrician, RN Registered Nurse Educator, Radiology Tech, Patient Registration Specialist, Clinical Therapist, Paramedic, STNA State Tested Nursing Assistant, Painter, RRT Registered Respiratory Therapist, Psychiatric Nursing Jobs, and HVAC Tech. If you're looking for a rewarding career with the opportunity to make a difference in the lives of others, Blanchard Valley Health System may be right for you. Open positions may include jobs such as Cardiopulmonary Technician PRN, Communications Operator, Housekeeping Jobs, Sonographer PRN, Diagnostic Radiologic Technologist PRN, Dietary Cook, EVS Housekeeper, Help Desk Jobs, Medical Lab Tech, Pharmacist, Medical Assistant, MRI Technologist, CCU Registered Nure Jobs, Surgical Tech, Behavioral Health Nursing Jobs, RN Ortho/Neuro, and more. During review, Hancock Public Health was listing jobs on their home page under the news section. Trilogy encourages personal and professional growth by offering a number of highly structured programs and benefits. In Findlay, there were opportunities posted for Activity Assistant, Certified Nursing Assistant (CNA), Licensed Practical Nurse LPN, Dietary Aide, Cook, Director of Nursing DON Registered Nurse RN, Maintenance Assistant, Qualified Medication Aide QMA, State Tested Nursing Assistant STNA, and Resident Care Associate Caregiver. Sunrise of Findlay had openings for Caregiver, Experienced Dining Room Server, and Housekeeper. Check for new listings. Fox Run Manor is a part of HCF. They offer a wide range of career opportunities for both professional level and staff positions. During review careers were found such as Registered Nurse RN, Nurse LPN / RN, Licensed Practical Nurse LPN, Nursing Assistant, and State Tested Nurses Aide STNA. Good Samaritan Society had openings for Activity Assistant, Staff Nurse RN, Certified Nursing Assistant CNA, and Staff Nurse LPN / LVN. Registered Nurse - NEW WAGES! Arcadia Local Schools had quick links on their home page leading to applications. Arlington Local Schools provides a teacher application and non teacher application. During this review, Cory-Rawson Local Schools had open positions for 5th Grade Science & Social Studies Teacher, Family & Consumer Science Teacher, School Custodian, and Classified Substitutes. Potential positions for Elmwood Local Schools include substitute teachers, secretaries, aides, cafeteria workers, custodian, and busing. Findlay City School District utilizes Applitrack. During review employment opportunities were found such as Substitute Custodian, Student Support Services Aide, Culinary Aide, Substitute Bus Aide, Substitute Bus Driver, Substitute School Nurse, Food Service Worker, Speech and Language Pathologist, Lunch Time Monitor, and Civil Service Referred Secretary. Fostoria City Schools periodically hires teachers and support staff. During review there had been open positions for School Psychologist, School Bus Driver, Sub Custodians, and Sub Food Service Staff. Liberty-Benton Local School District periodically hires teachers and support staff. Substitute openings may include Aides, Bus Drivers, Cafeteria Staff, Custodians, and Maintenance positions. Other opportunities may include coaching jobs, extra curricular, and certified positions. To begin the employment process as a substitute teacher or paraprofessional for Van Buren Local Schools, please visit the Rachel Wixey & Associates website to submit your application. Vanlue Local School District had openings for 2nd Shift Custodian, Full Time Bus Driver, Substitute Bus Drivers for Vanlue School bus routes, and Substitute Teachers. Rachel Wixey & Associates recruits and trains employment candidates for positions within schools. Sometimes wanting to make a difference is all it takes. At Blanchard Valley Center we choose to make a difference every single day, one person at a time. And we need people like you - difference makers - to join our team. Opportunities may exist for positions such as Full Time Classroom Assistant, Full Time Custodian, Substitute Teacher, Substitute Classroom Aide, and Clerical Substitute. More than 1,380 full- and part-time employees contribute to Owens' success. A competitive benefit package and challenging work environment allow Owens to attract the most qualified individuals to support the College's mission. Our faculty and staff are leaders in their field and they truly make student success their top priority. Our campus community is known for providing a welcoming, collegial and supportive environment for everyone we work with. 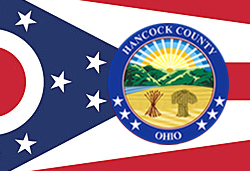 Hancock County Job Solutions connects job seekers with employers that are currently seeking trained and qualified applicants for high demand positions. OhioMeansJobs has programs and services free for both job seekers and employers. Job seekers may be eligible for individual training accounts, job retention bonuses, transportation assistance, workshops, resume writing aid and more. The Courier News Classifieds Employment had listings such as Childcare Teachers, Bartenders, Dishwashers, Prep Cooks, Line Cook, General Contractor, Manufacturing Plant Jobs in Findlay, Newspaper Delivery Driver, Janitor, Maintenance Jobs, Retail Jobs, Seasonal Employment, Patient Services Specialist, Case Management Specialist, Receptionist, Customer Service Jobs, and more. Findlay - Hancock County Chamber of Commerce Employment Services provides listings of legitimate staffing agencies and job seeker resources. Findlay Craigslist Jobs help wanted classifieds employment listings had included Infant Toddler Teacher and Preschool Teacher, Custodial Crew Members, CDL Driver, Roofing Jobs, Maintenance Technician, Janitorial positions, Findlay Laborer Jobs, Clerical Job, Construction worker, Mechanic, Restaurant Manager, Engineering Tech / CAD, Administrative Assistant, Automotive Technicians, UPS Seasonal Helper, Machine Operator (Findlay, Ohio), Assembler, Sales Representative, Part Time Janitorial Findlay, Part time Cleaning Position, Electrician, Custodian, Welder, Painter, Customer Service Representative, and more. The State of Ohio offers a wide range of career opportunities. Now Hiring! Mennonite Mutual Insurance Company is currently accepting resumes for the positions of Accounting Specialist and Claims Representative - Apply Today!